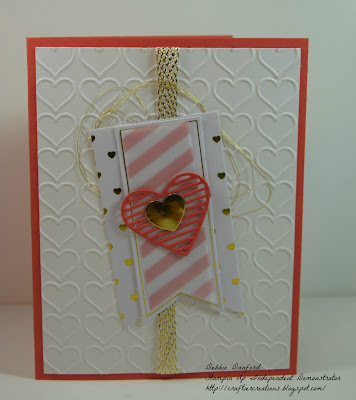 Back with a couple more using the January Paper Pumpkin Kit. 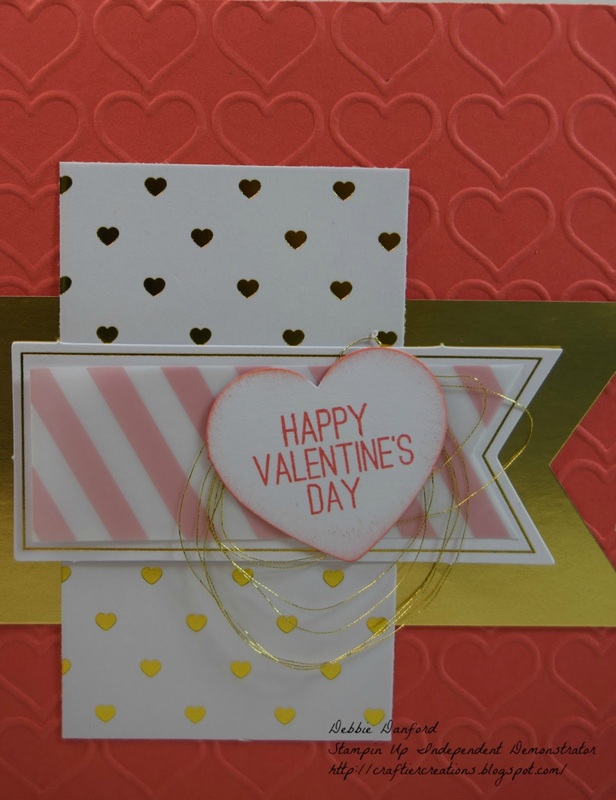 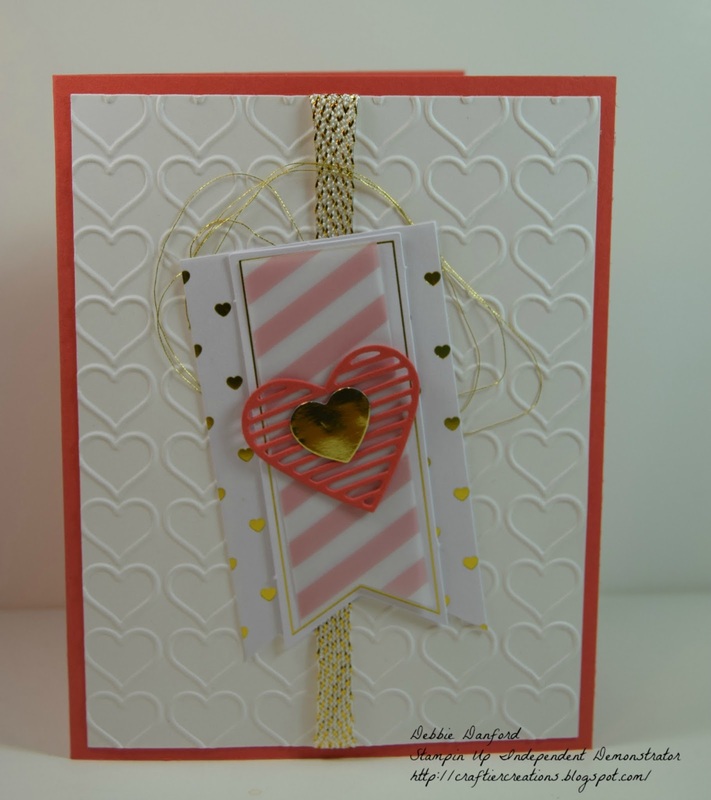 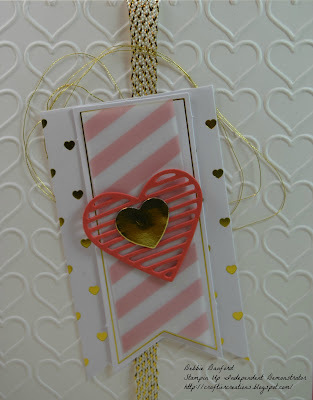 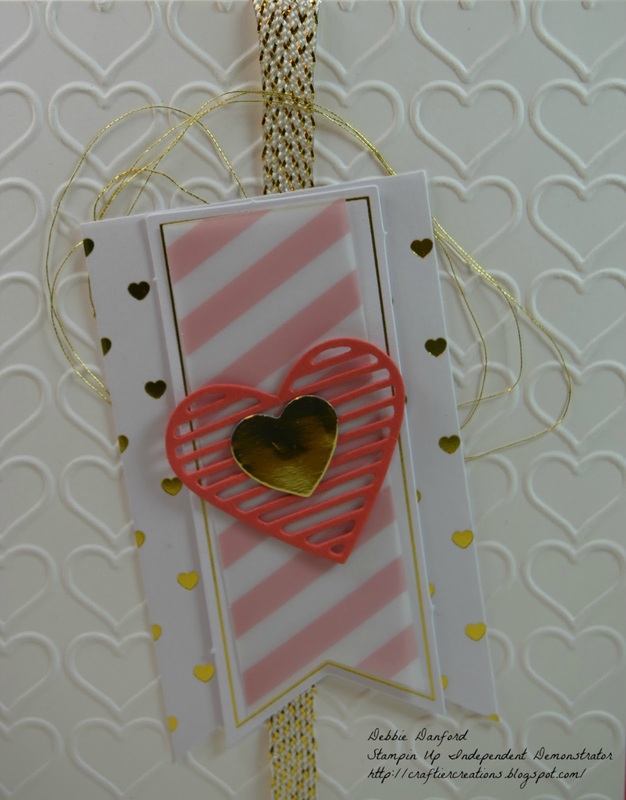 This one I used the Happy Heart embossing folder & a few bits & pieces from PP. All these card came together so easy, or maybe I was just feeling very creative that day. 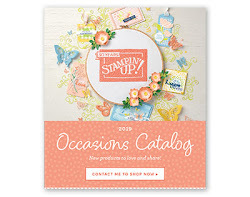 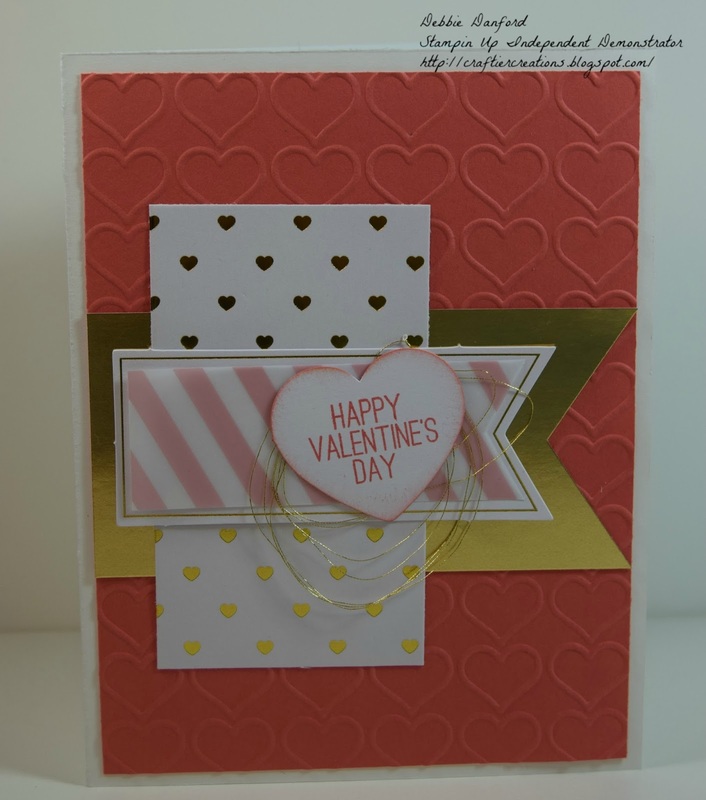 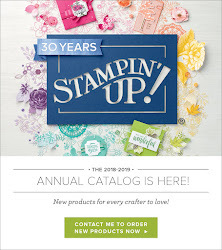 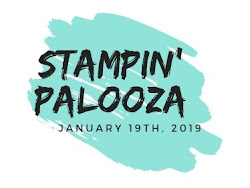 Same embossing folder just decided to use the Calypso Coral in the background this time.